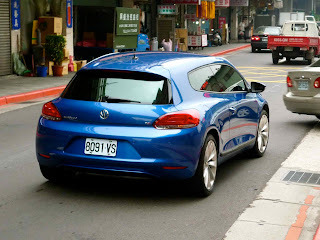 Walking the streets of Taipei over a weekend, I came across a couple of VWs that we don't get in the US of A. Even if it looks more like a squashed Golf than anything resembling an original Scirocco. 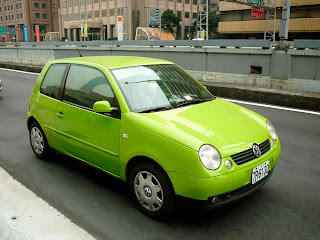 The other is a Lupo, two sizes smaller than the smallest VW we get in the States (the Golf). Makes for a nice, compact city car, even if it's a little too cute for it's own good. 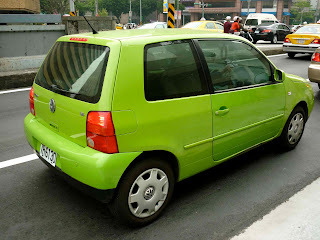 While in a cab, I trailed a Polo GTI for a couple of blocks, but the photos didn't turn out. 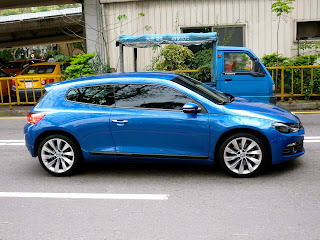 That's a VW I hope we do see in the near future. It's very similar in size to the classic "A2" Golf that was offered from '85-'92 and looks great.